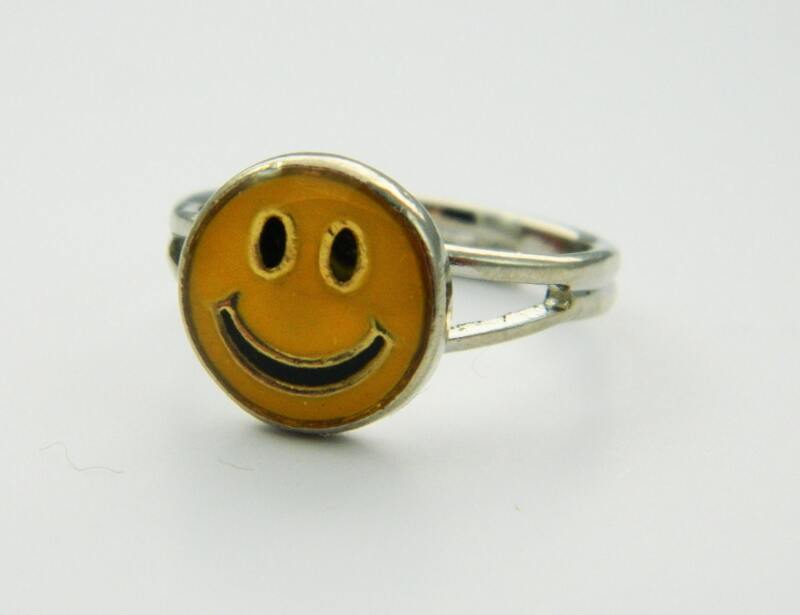 Vintage 90s Resin Be Happy Smiley Face Ring. 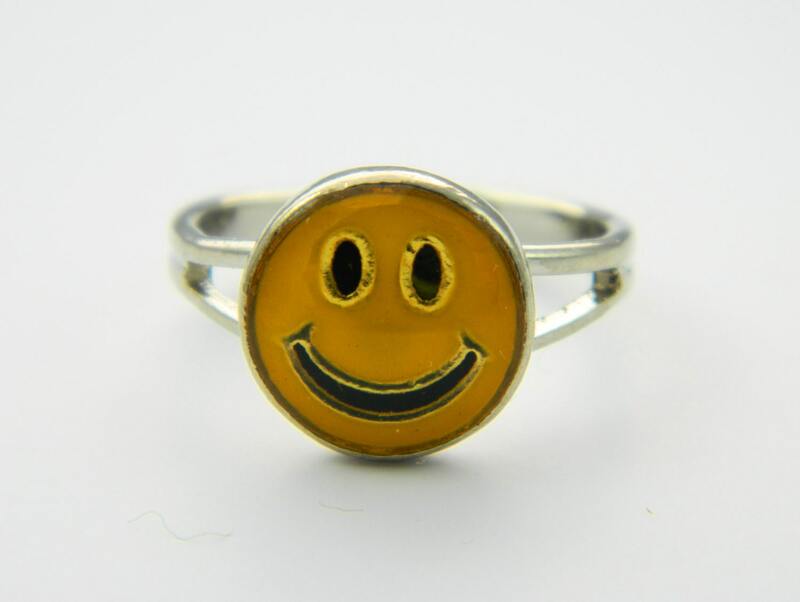 Ring size adjusts comfortably from size 6.5 to 8. 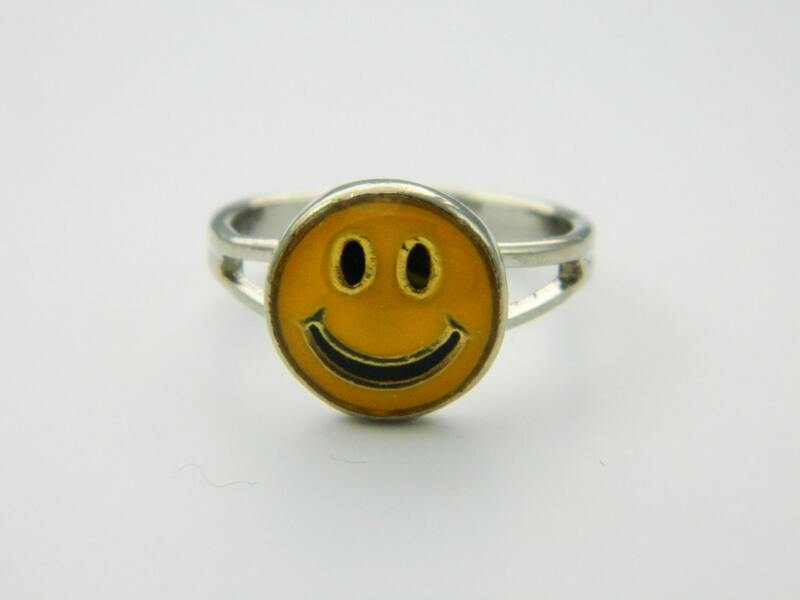 Materials: Silver tone alloy and resin.